 Alternatively, check out our FAQ’s or email stuart∂alexandraparkjudoclub.co.uk with any queries you may have. This survey is totally anonymous and should only take 5 minutes to complete. Copyright © 2019 Alexandra Park Judo Club. All Rights Reserved.